In my placement year I worked a lot with the management side of Landscape. When I returned for my Masters I explored this sector more, undertaking a maintenance module, and incorporating management into my final project. 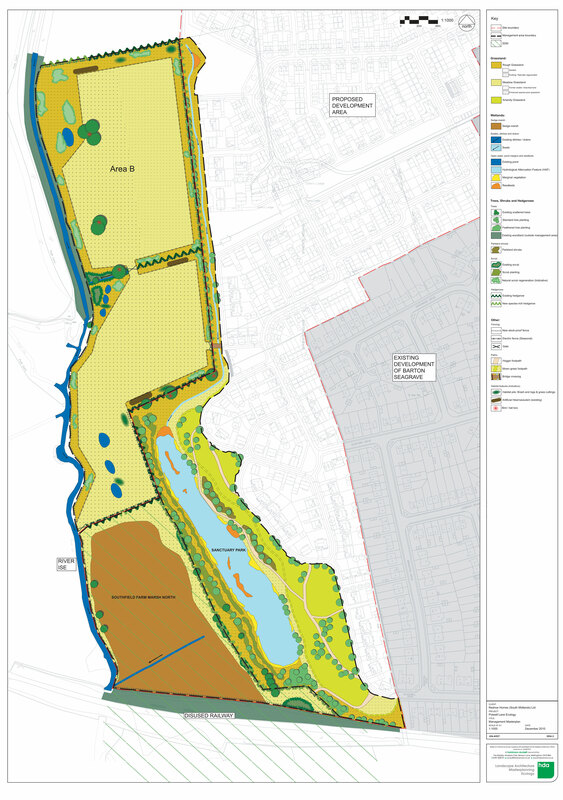 In my placement year I worked with Landscape architects and ecologists on management projects of new and existing landscapes, and helped produce complex plans like the one above. Part of my final masters project was researching into the long-term management of the site. 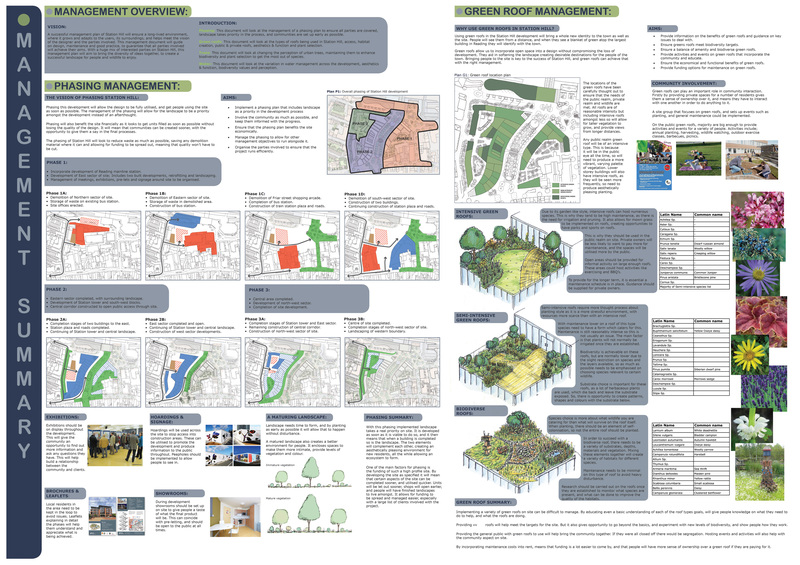 I looked into phasing the development, and how landscape could work with that, as well as looking into the management of green roofs, as my design included a vast number of them. 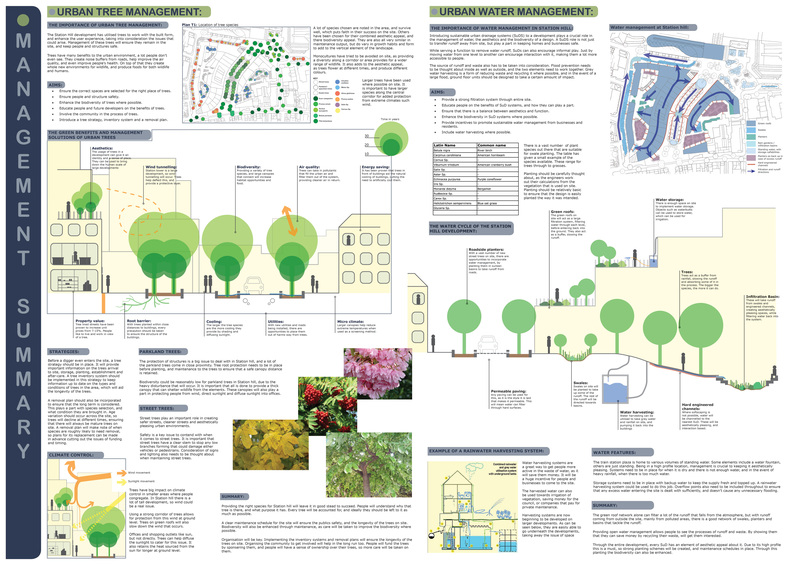 I also looked at the management of urban trees, again being a large part of my design in a public space. Water management was also important, due to being a heavily urbanised area, I wanted to set a precedent for the town, not just the site. 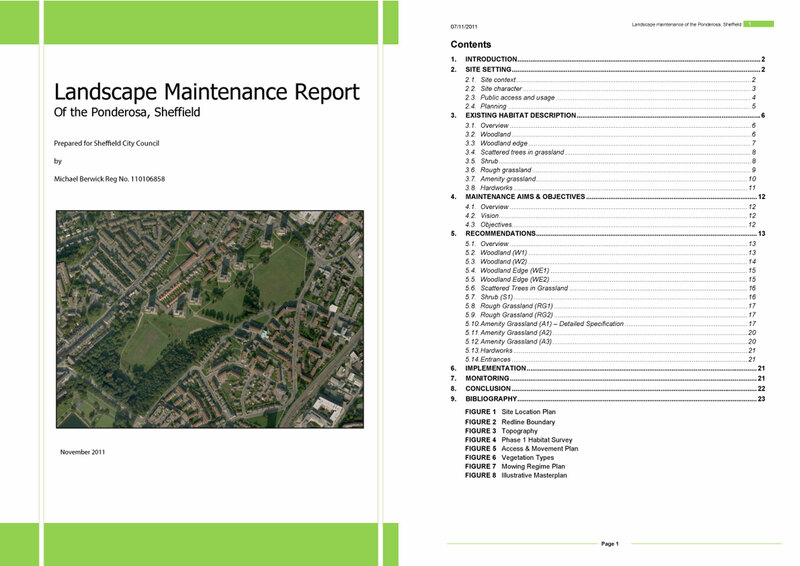 In my masters year I produced a maintenance report on a public park in Sheffield, where I had to assess the current state of the site, and work on a solution to enhance the site.